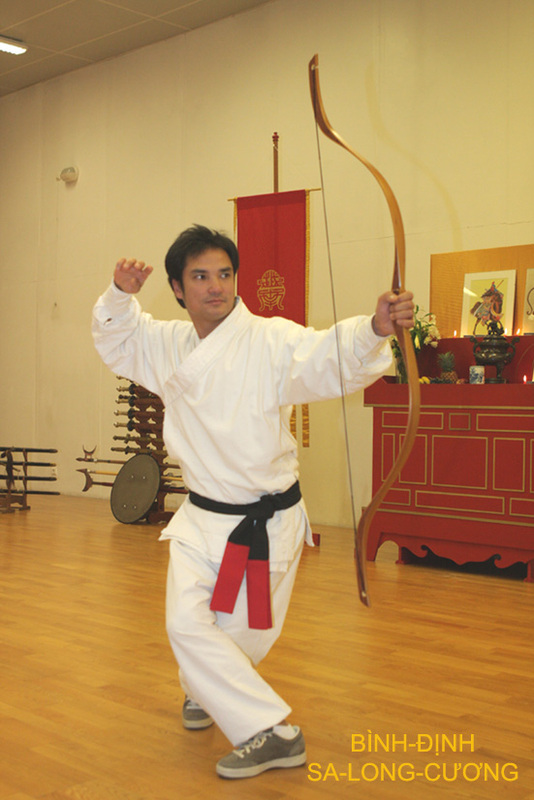 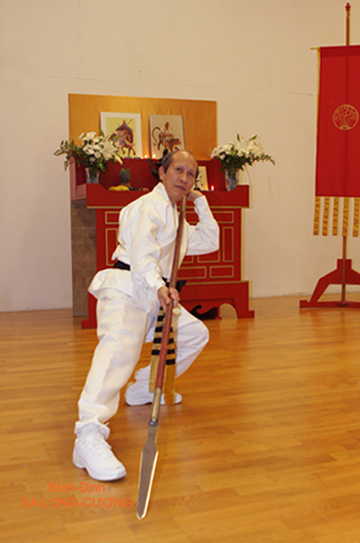 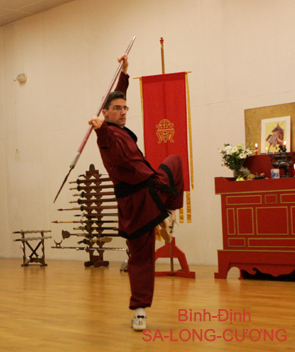 The Traditìon of Martial Arts presentation on the « Commemoration Feast of Spiritual Founders » is remained in all Martial Arts School of Việt-Nam. 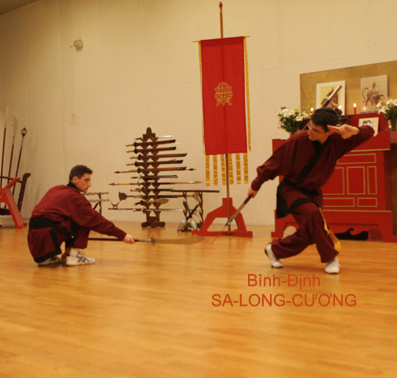 Each year, all Martial Students in the Bình-Định SA-LONG-CƯƠNG School System observe this Tradition, and get together for celebrating the Two Spiritual Founders Bodhidharma and Saint Duke named Quan commemoration. 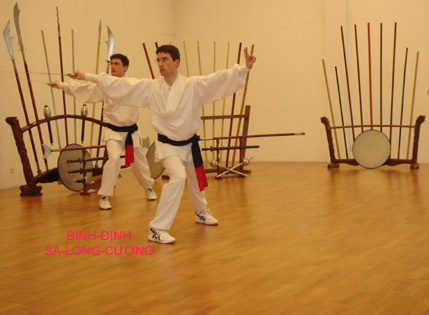 In this occasion, they participate to Ranks and Degrees Passage Exam and, they present at once Codified Sequences of Bare Hands Fighting and those of Medieval Arms from Eighteen Martial Arts Sections. 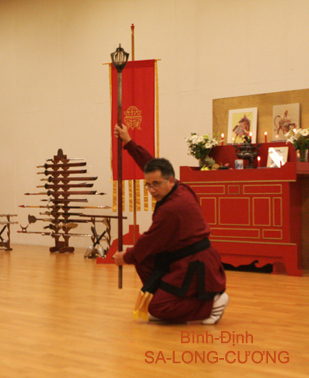 « Ngũ Bá Linh-Trùy » ( 五 霸 靈 錐), during the Spiritual Founders Commemoration Day, on November 8th 2009. 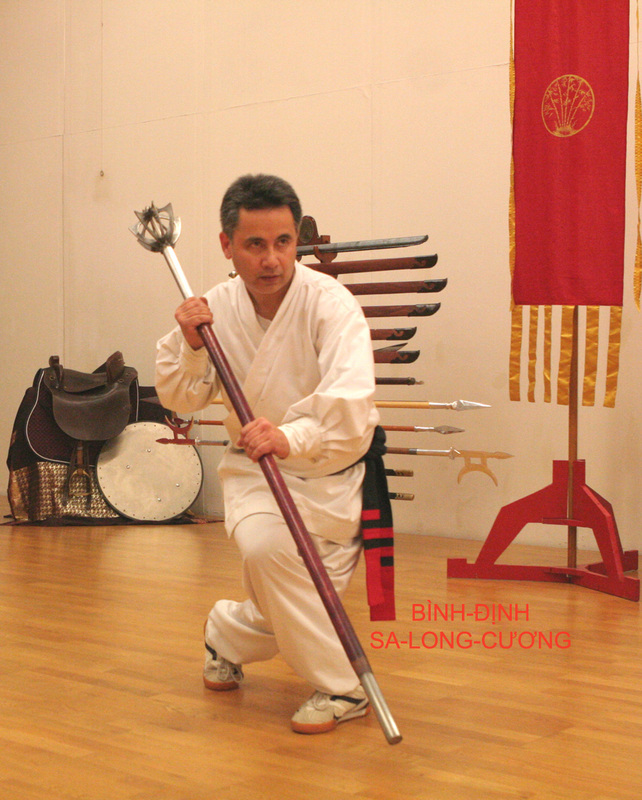 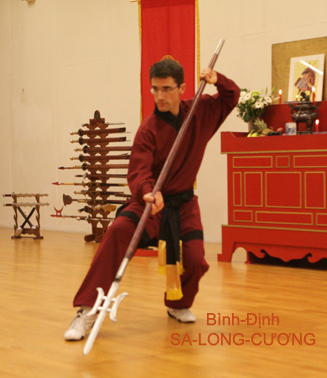 Founders Commemoration Day on November 8th 2009.
of « Willow Leaf Spear » ( Liễu-Diệp Thương - 柳 葉 槍 ). 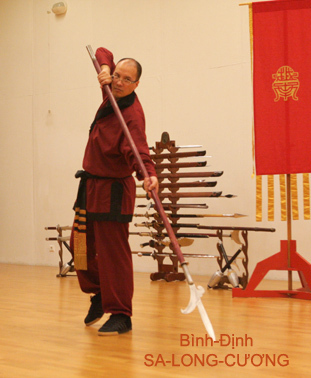 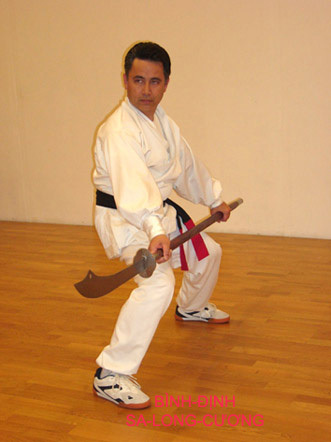 « Great Battle Axe » ( Đại Phủ-Việt - 大 斧 鉞 ). 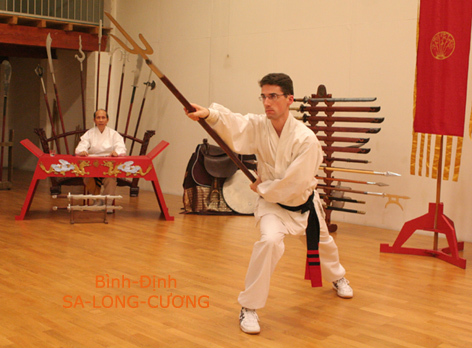 Codified Sequence of « Great War Mace » ( Đại-Trùy - 大 錐). 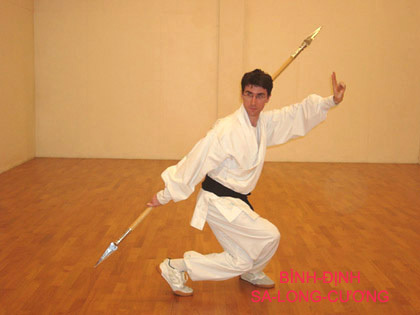 Sequence of Polearm Halberd with Apical Double Blade. 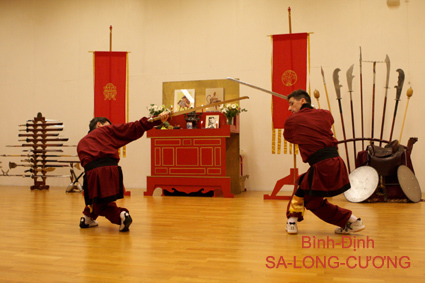 Great Battle Axe « Đại Phủ-Việt » ( 大 斧 鉞 ). 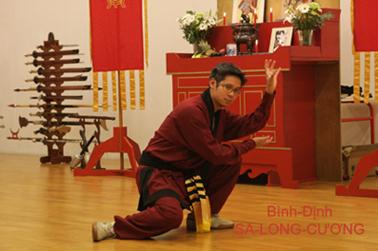 « Phương-Thiên Họa-Kích » ( 方 偏 禍 戟). 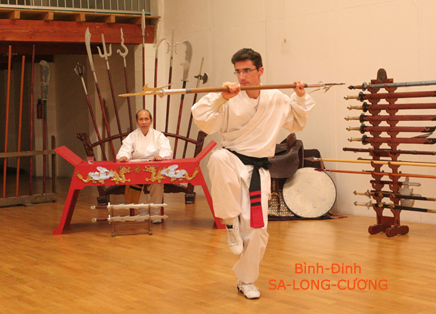 Sequence of « Great War Mace » ( Đại-Trùy - 大 錐). 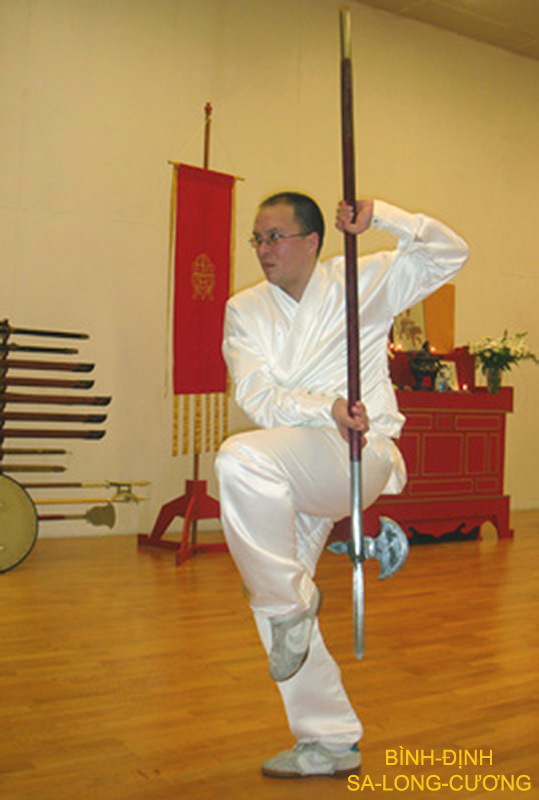 ( Phác-Đao - 撲 刀 ). 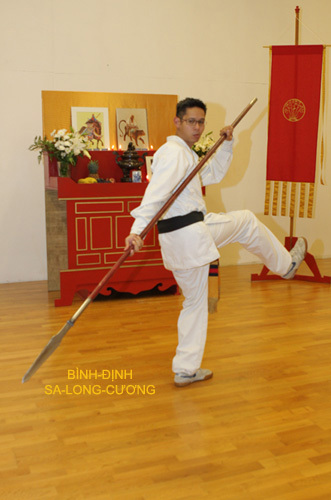 ( Phương-Thiên Họa-Kích - 方 偏 禍 戟 ). 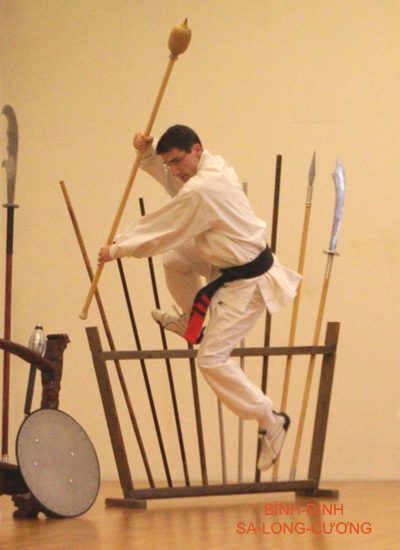 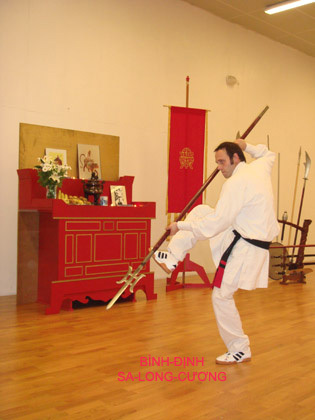 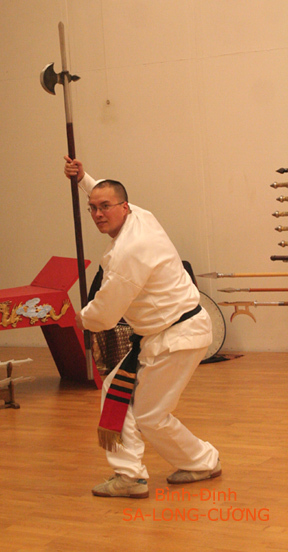 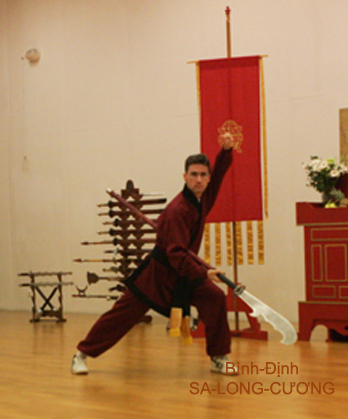 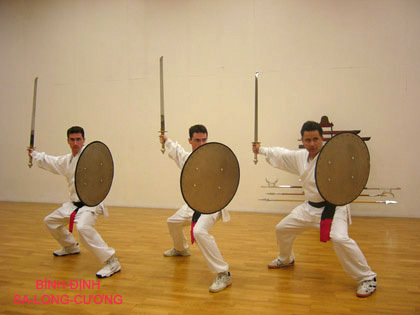 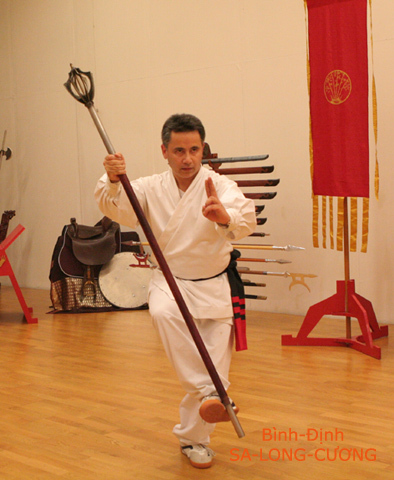 « Metal Shield » ( Thiết-Khiên - 鐵 牽 ) by Martial Students. 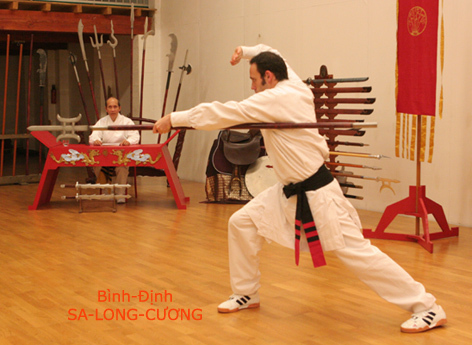 « Clouds Dragon Sword » ( Long-Vân Kiếm - 龍 雲 劍 ).